Dennis Yu is CEO of BlitzMetrics. He is an internationally recognized lecturer in Facebook marketing, having been featured on National Public Radio, TechCrunch, Fox News, AllFacebook, CBS Evening News, and KTLA-TV. He has spoken at Search Marketing Expo, Search Engine Strategies, Web 2.0, The American Marketing Association, PubCon, Conversational Commerce Conference, Pacific Conferences, HostingCon, Affiliate Summit, Affiliate Convention, UltraLight Startups, and other venues. Yu has also counselled the Federal Trade Commission on privacy issues for social networks. Dennis has held leadership positions at Yahoo! and American Airlines. His educational background is Finance and Economics from Southern Methodist University and London School of Economics. Master Facebook marketing from the masters at BlitzMedia that have managed almost a billion dollars of Facebook Ad Spend. The workshops are second to none, teaching you how to connect with new prospect customers with the lowest ad costs on the web. Learn what to launch and how to target the right audience, with advanced tracking strategies that make sure you hit the right people at the right time. Want to avoid getting crushed by Facebook's latest updates? Learn the latest must-know tips and strategies, and the NEW way to get 10-100 times more value from Facebook. 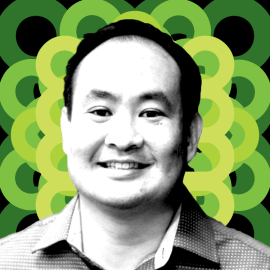 You'll learn it all from Dennis Yu, who's managed more than ONE BILLION dollars in online ads. Yu will dive into a step-by-step strategy that drove 29X return for the Golden State Warriors, generating 80 million reviews for only $500. This session will also show you how to trick the new Facebook algorithm to maximize your results. •What's up with Facebook in a nutshell. •About the 3X3 Video Grid Funnel. •How to use Facebook for a dollar a day. •Standards of excellence for Facebook.